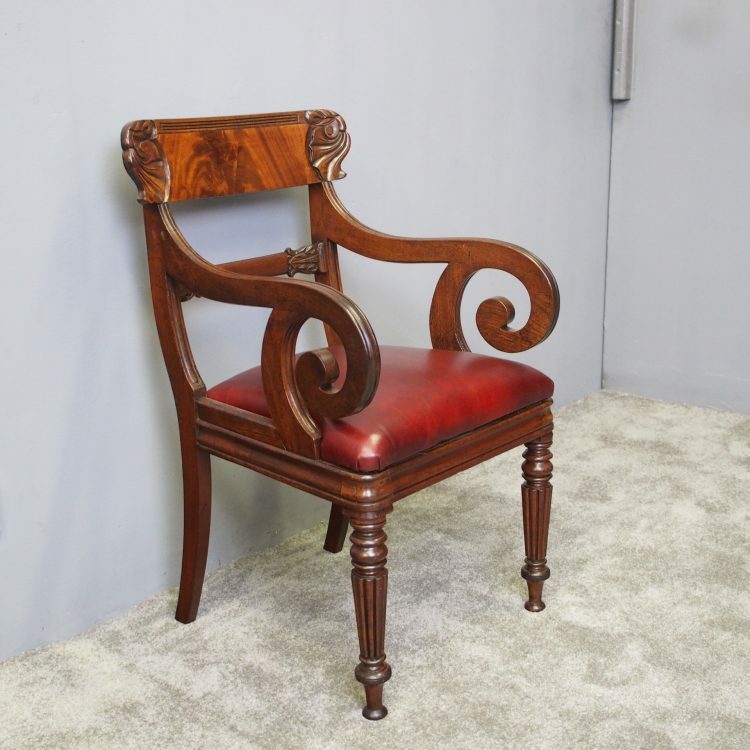 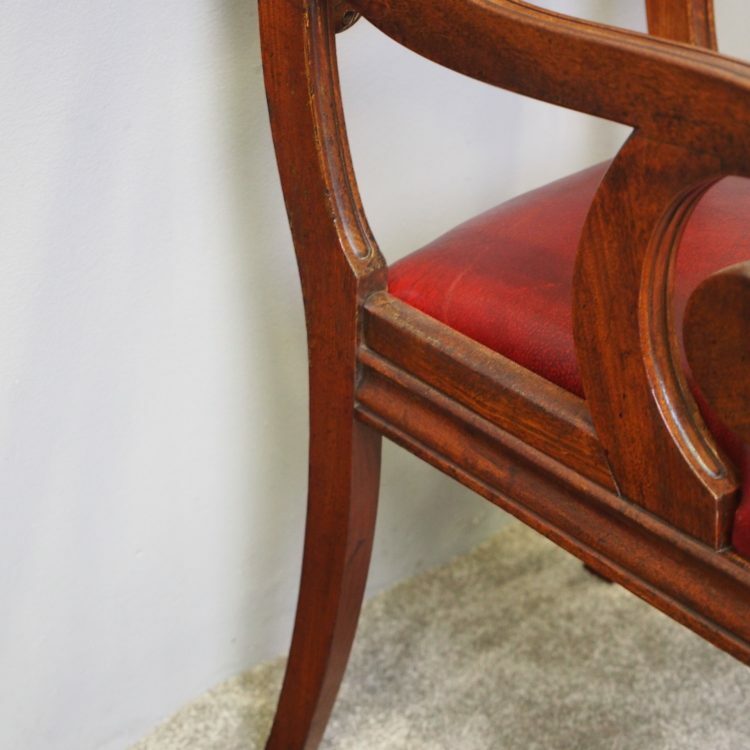 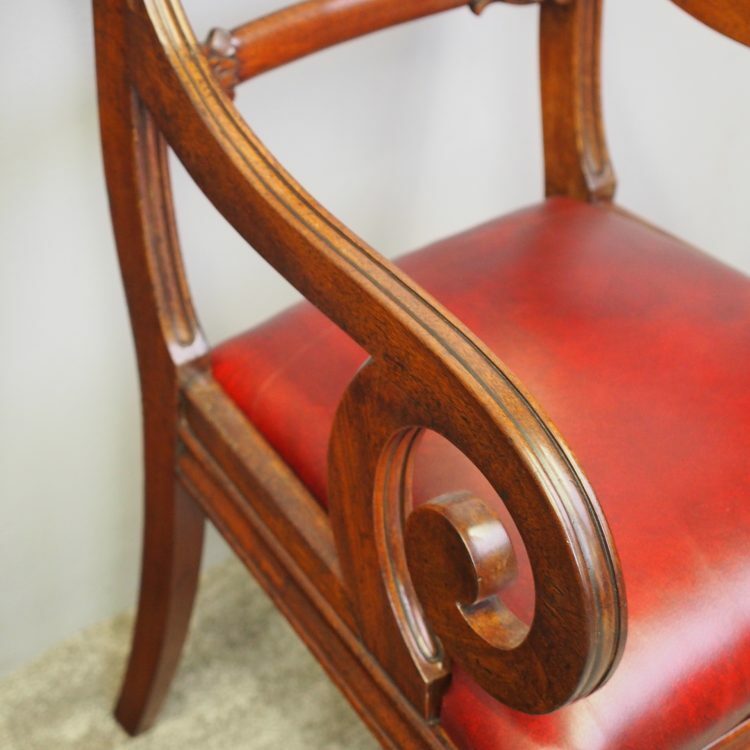 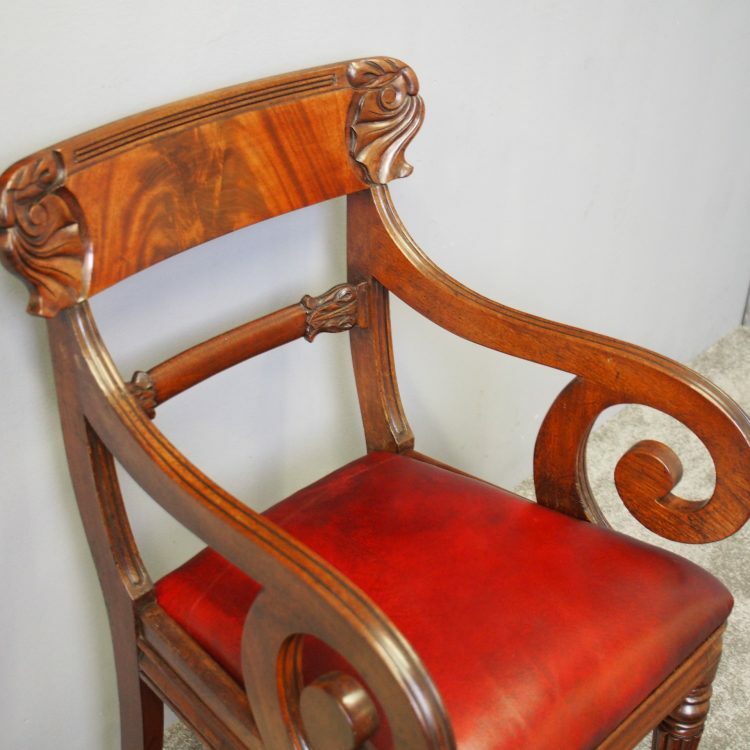 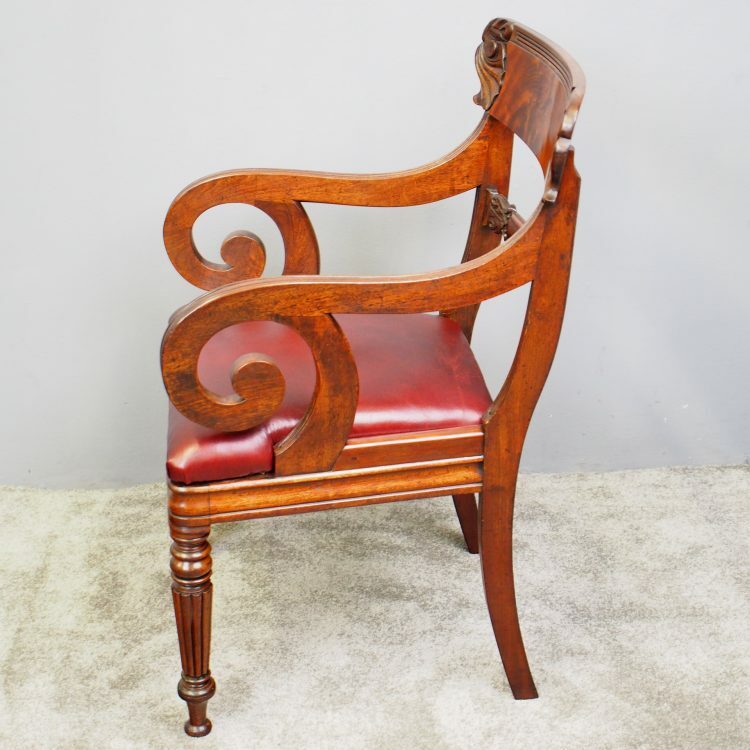 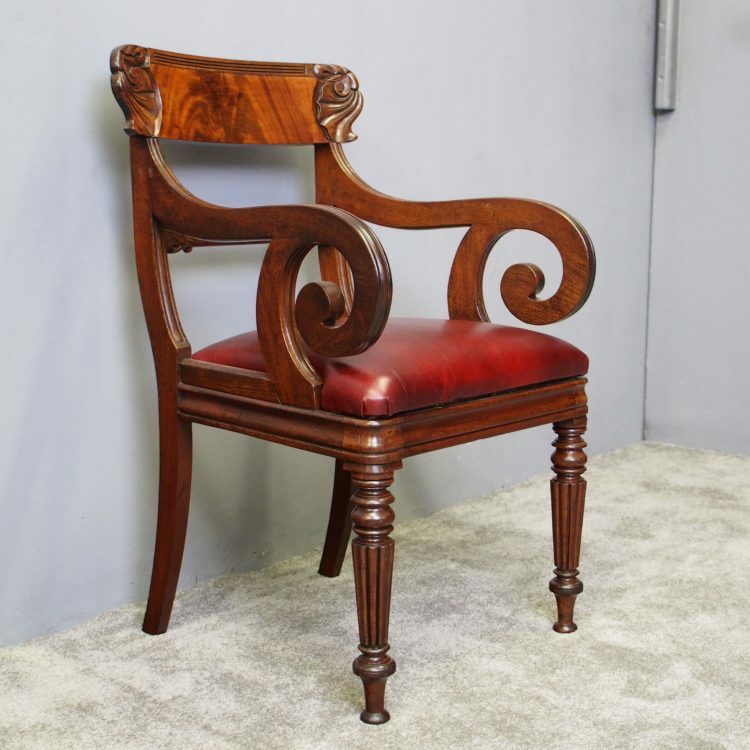 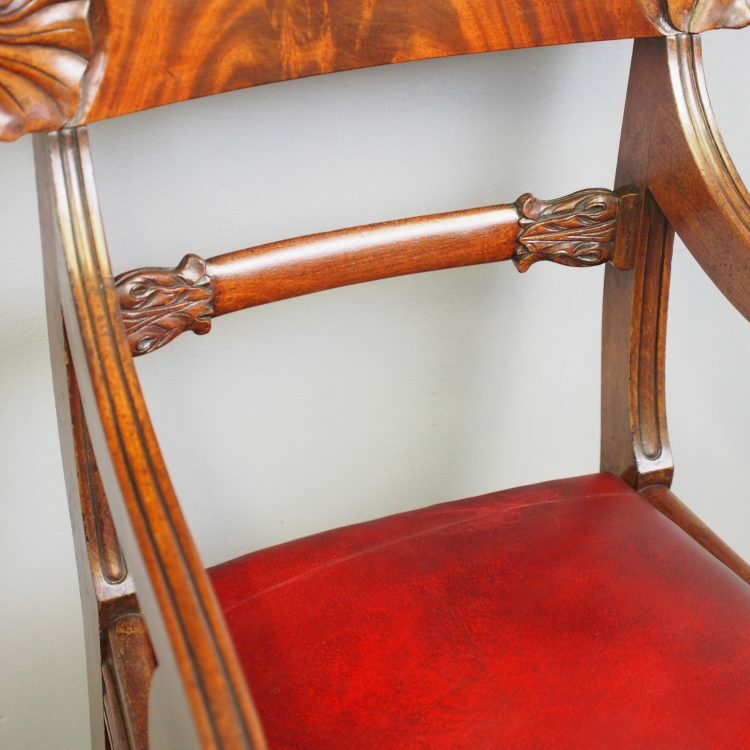 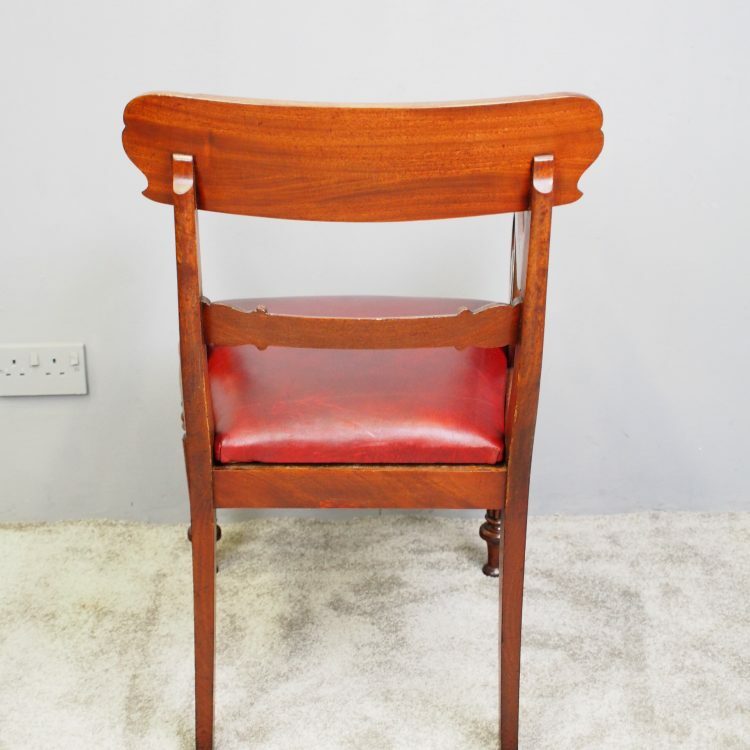 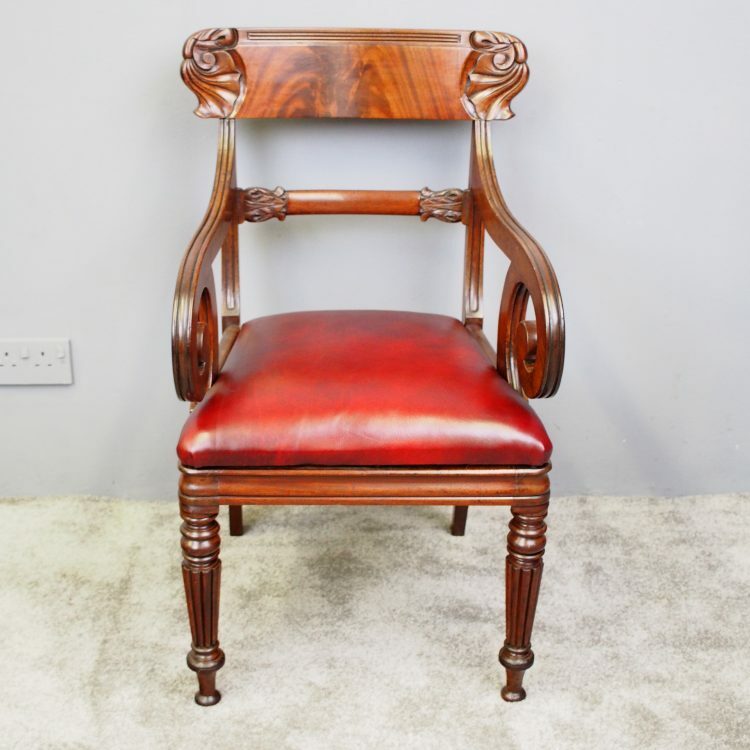 Circa 1830, William IV Scottish mahogany armchair. 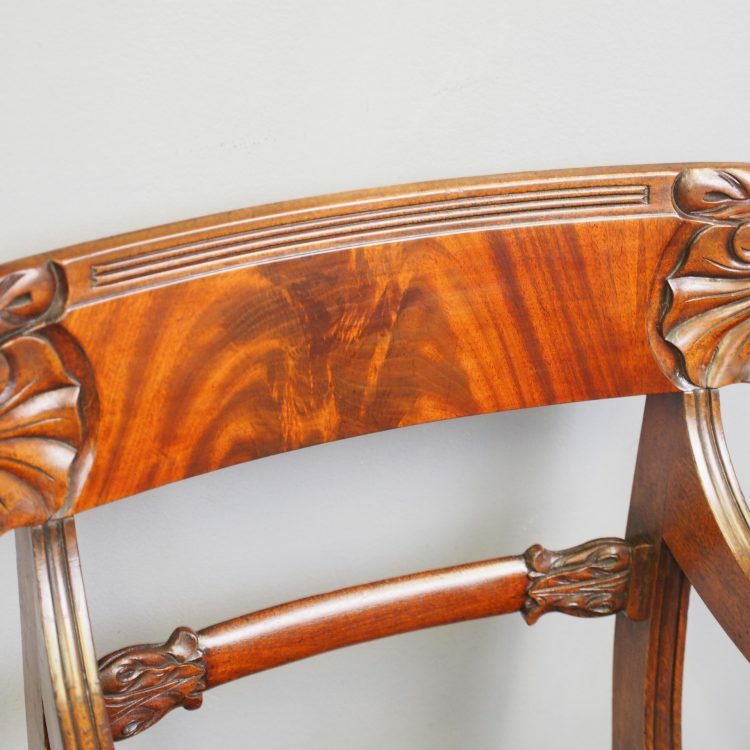 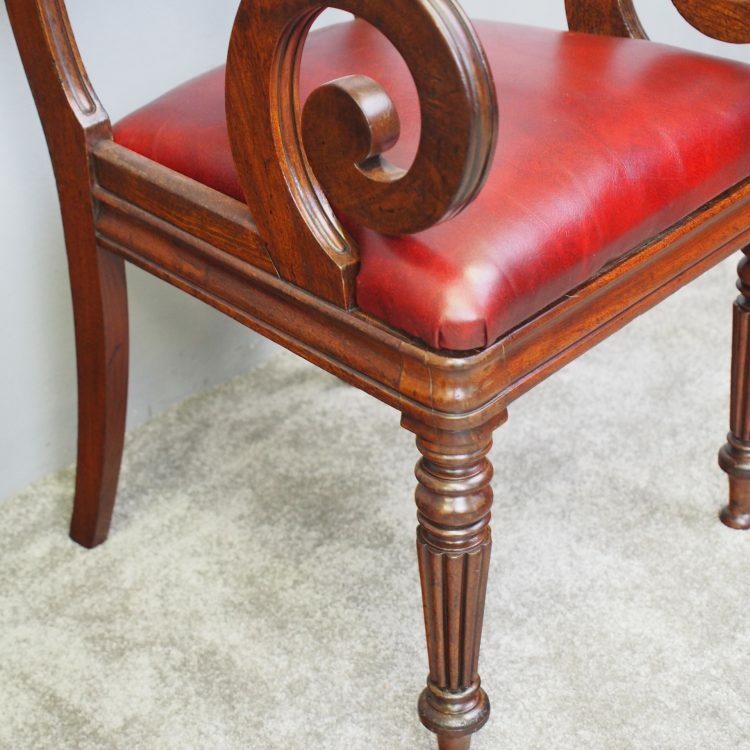 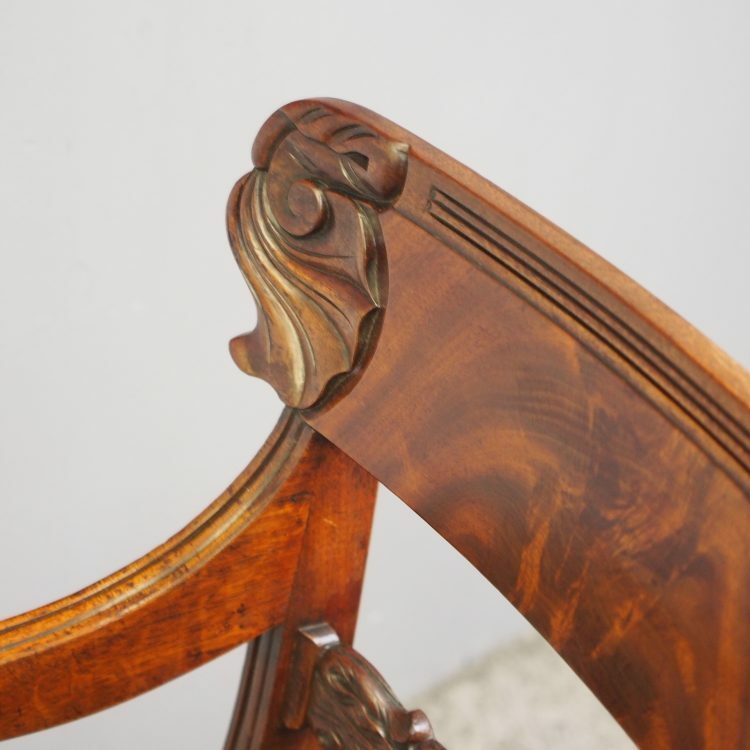 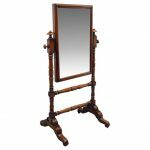 With Playfair style shaped top rail and carved floral designs, it has a shaped splat and the reeded arms are held in place by a curved upright. 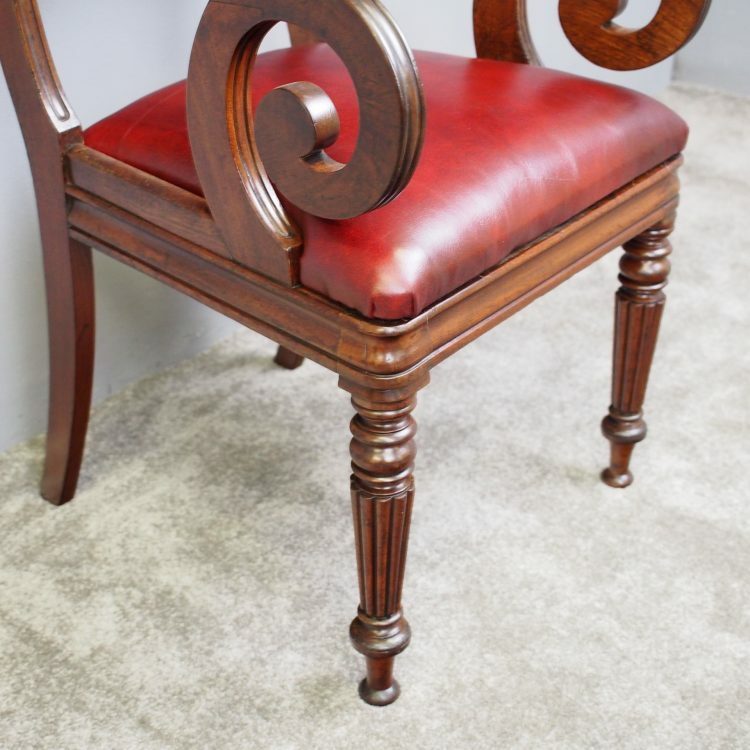 With leather drop in seat, shaped apron and splayed back legs with ring turned and tapering front legs on a tapering toe.